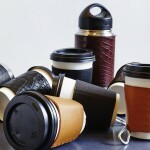 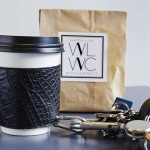 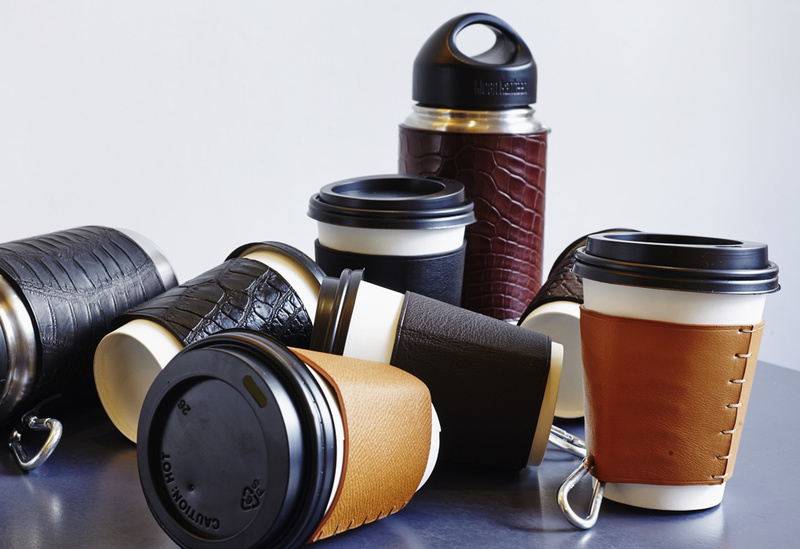 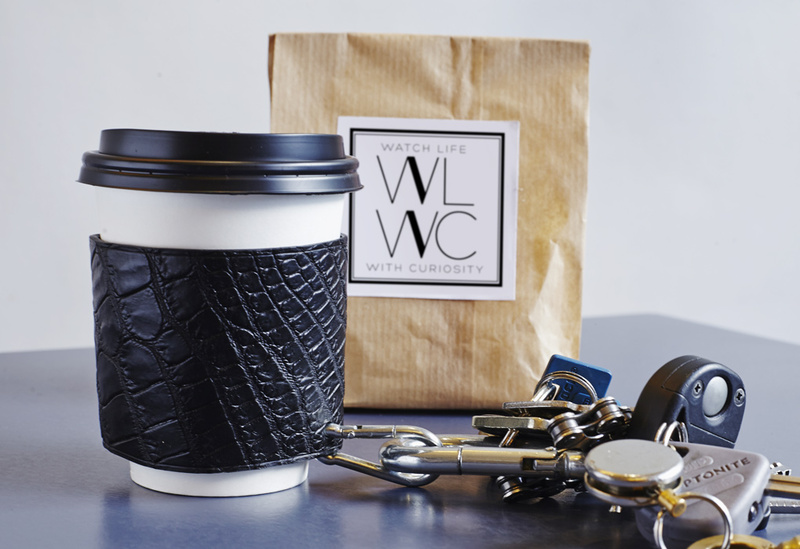 The cup sleeve in calf leather or crocodile protects your hand from the cup’s warmth. 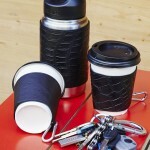 Its rigid lining makes the cup stronger. 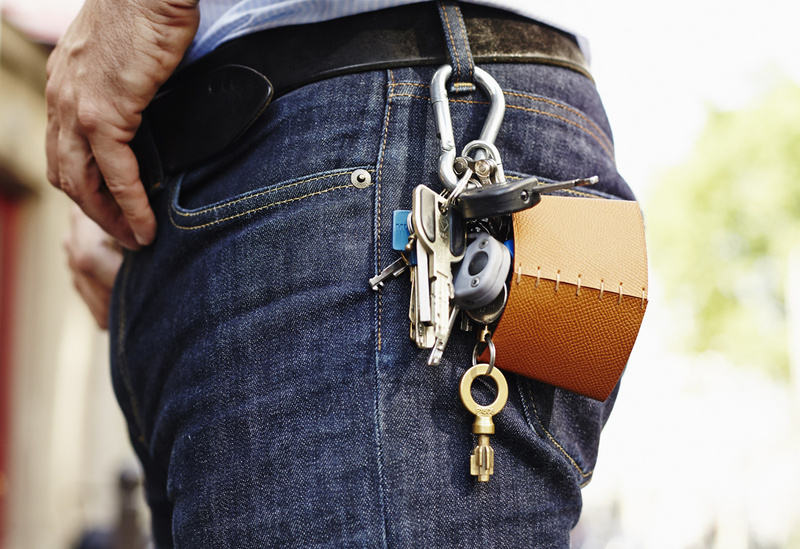 The carabiner attached to it allows you to hang it to a keyring. 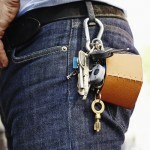 Handcrafted by the young leather craftsman Jeremy KASTELANI. 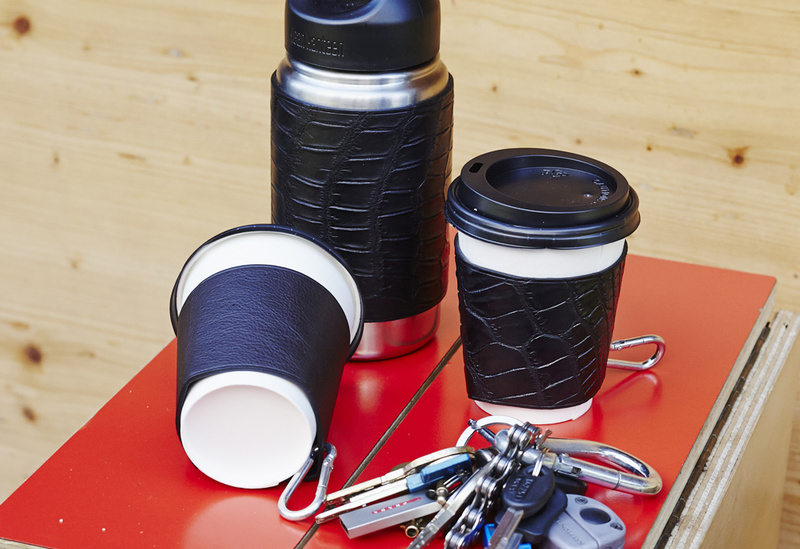 Fine materials in a wide ranging colour palette available.